DENVER (August 6, 2014) - Frontier Airlines today announced it will bring new low-cost service to Palm Beach, Fla. with discounted flights to Washington, D.C. from $49*, to Trenton from $59 and to Denver from $89*. 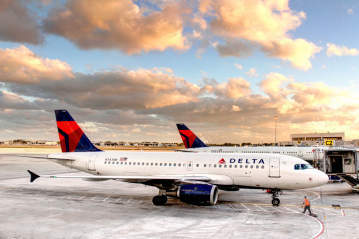 Known for offering "Low Fares Done Right", the airline&apos;s introductory one-way fares are available for flights through March 1, 2015 and include all taxes and transportation fees. This special offer is available only at the company´s website, FlyFrontier.com through Aug. 9. "We are excited to introduce our brand of low fares to the Palm Beach community," said Daniel Shurz, Frontier&apos;s senior vice president, commercial. "These introductory fares attest to our commitment to make air travel more affordable and accessible. We are confident customers will love our amazing low fares and the ability to optimize their travel experience for the comfort and value they seek." 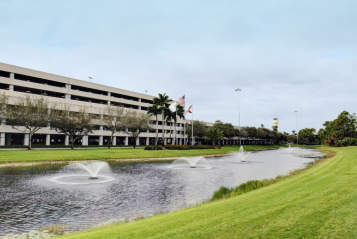 "Palm Beach International welcomes Frontier Airlines to our community. 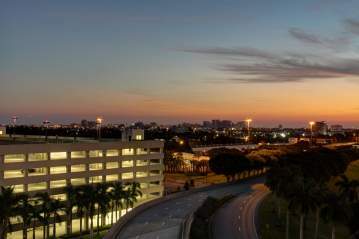 We are thrilled to have them start new service to three destinations and look forward to continued growth and success from this partnership," said Bruce Pelly, Director of Airports, Palm Beach International Airport. For more information or to purchase a Frontier flight, visit FlyFrontier.com, where Frontier guarantees the best travel value for Frontier flights. Customers can sign up at FlyFrontier.com/email-alert receive special discounts and promotions only available to Frontier&apos;s email subscribers. Special offers are also available by following Frontier on Twitter at Twitter.com/FlyFrontier or by liking Frontier on Facebook at Facebook.com/FlyFrontier. *All transportation fees and taxes included. Tickets must be purchased by 11:59 p.m. Eastern time, Aug 9, 2014. Fares are one way for domestic travel from start of service through December 12, 2014. Seats are limited at these fares and certain flights and/or days of travel may be unavailable. These fares are nonrefundable tickets may be transferred for a fee of up to $50, or reissued for alternate flights for a fee of up to $75, as well as a possible fare difference. The name change fee and itinerary change fee are not exclusive of each other. Previously purchased tickets may not be exchanged for these special fare tickets. Fares reflect purchase at FlyFrontier.com. Tickets purchased at FlyFrontier.com or by calling Frontier&apos;s reservations centers must be paid for at the time the reservation is made, but may be cancelled for a full refund without penalty up to 24 hours after the time of purchase. Additional travel services, such as baggage and advance seat assignments are available for purchase separately at an additional charge. Fares shown include all transportation fees, surcharges and taxes, and are subject to change without notice. Committed to offering Low Fares Done Right., Frontier offers ultra-low fares with customer choices to more than 85 destinations in the United States, Mexico, Costa Rica, Jamaica and the Dominican Republic. The airline employs nearly 4,000 aviation professionals, operating from its primary hub at Denver International Airport. For in-depth information on Frontier Airlines and to book tickets, visit FlyFrontier.com. To download our production ready B-Roll, photographs and logos, please visit http://news.flyfrontier.com.